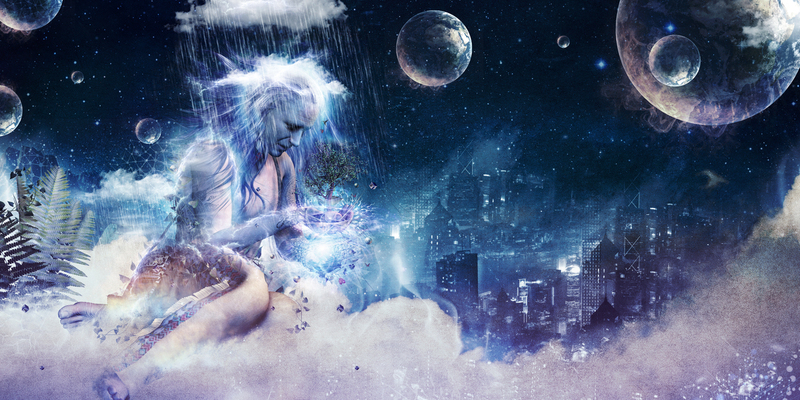 For this exercise, when I first heard the words ‘Art Work’ it brought to mind this image by Cameron Grey. What it is about this image that sticks in my mind so much is the vibrant and dreamy etherial quality of the image. It feels spiritual and dreamlike. To my eye the image is well balanced. The main subject is sitting off to the left following the rule of thirds, and moving into the frame. All the elements in the image have a purpose in telling the story. I think the composition is effective in helping the image be remembered. The emotionality found in this image for me is the foreboding demise of the natural world here on Earth, and the inherent sadness within that. When I think of music the images that come to mind are usually of rock musicians performing on stage. 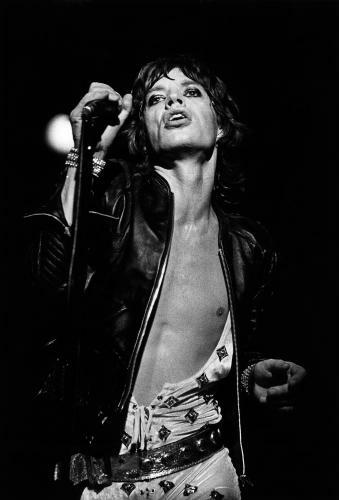 I picked this one of Mick Jagger because for me, he embodies the ethos of the golden age of rock. The image is a candid stage shot. The composition is clean and clear with the background entirely in darkness and only one bokeh light peering out from near his wrist. The message coming through to me from this image is one of swagger, sexuality, androgyny, rock n’ roll. It is a classic black and white film print. The first image (or perhaps product) that came to mind when thinking of Advertising images was the iPhone, and the classic white styling of all their advertising. 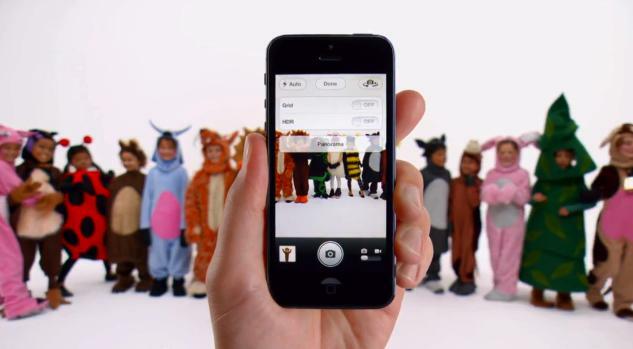 The one I’ve included here is a still shot from one of their television ads. The image is a balanced composition with the kids all lining up on the bottom rule-of-thirds horizon. The ad is showing us the iPhone’s ability to take panorama’s so the composition is perfect. The image is clean white a clear white background. It is a clear and simple message, expressing the sentiments of the Apple product; clean lines, minimal, slick and clutter free.